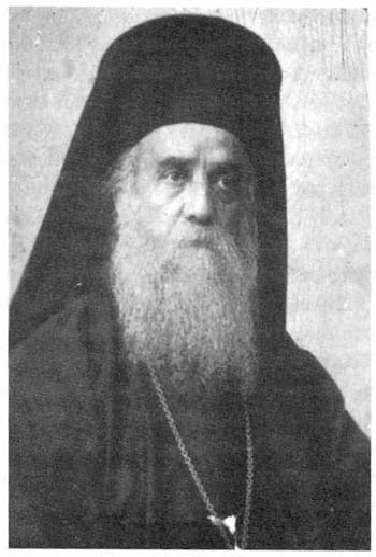 An article by George Demacopoulos which explores the dispute between St. Gregory the Dialogist and Patriarch St. John the Faster over the title “Ecumenical”. It argues that the promotion of the title coincided with other Eastern challenges to Roman prestige and St. Gregory’s diplomatic strategies evolved over the course of the controversy. While nothing in his correspondence suggests that he would endorse subsequent claims to universal Roman privilege, Demacopoulos argues that Eastern ambition actually pushed the Pontiff to embrace the rhetorical claims of Petrine privilege. Humbert, cardinal bishop of the holy Roman Church by the grace of God; Peter, Archbishop of Amalfi; and Frederick, Deacon and chancellor, to all the children of the Catholic Church. 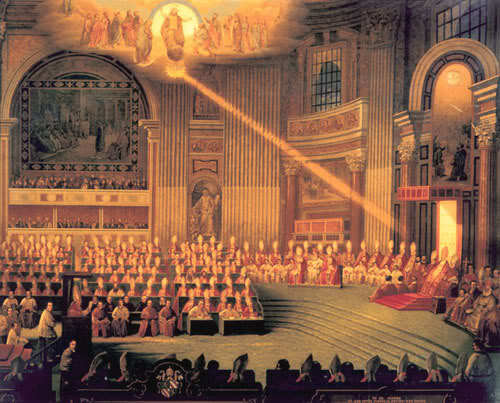 The holy, primary, and Apostolic See of Rome, to which the care of all the churches most especially pertains as if to a head, deigned to make us its ambassadors to this royal city for the sake of the peace and utility of the Church so that, in accordance with what has been written, we might descend and see whether the complaint which rises to its ears without ceasing from this great city, is realized in fact or to know if it is not like this. Let the glorious emperors, clergy, senate, and people of this city of Constantinople as well as the entire Catholic Church therefore know that we have sensed here both a great good, whence we greatly rejoice in the Lord, and the greatest evil, whence we lament in misery. For as far as the columns of the imperial power and its honored and wise citizens go, this city is most Christian and orthodox. But as far as Michael, who is called patriarch through an abuse of the term, and the backers of his foolishness are concerned, innumerable tares of heresies are daily sown in its midst. And because they grow the hair on their head and beards, they will not receive in communion those who tonsure their hair and shave their beards following the decreed practice of the Roman Church. For these errors and many others committed by them, Michael himself, although admonished by the letters of our lord Pope Leo, contemptuously refused to repent. 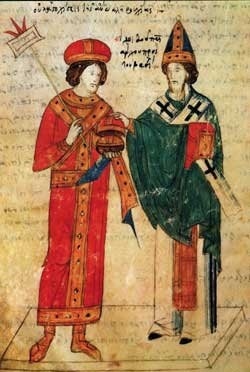 Furthermore, when we, the Pope’s ambassadors, wanted to eliminate the causes of such great evils in a reasonable way, he denied us his presence and conversation, forbid churches to celebrate Mass, just as he had earlier closed the churches of the Latins and, calling them “Azymites,” had persecuted the Latins everywhere in word and deed. Indeed, so much [did he persecute them] that among his own children, he had anathematized the Apostolic See and against it he still writes that he is the “Eumenical Patriarch”. 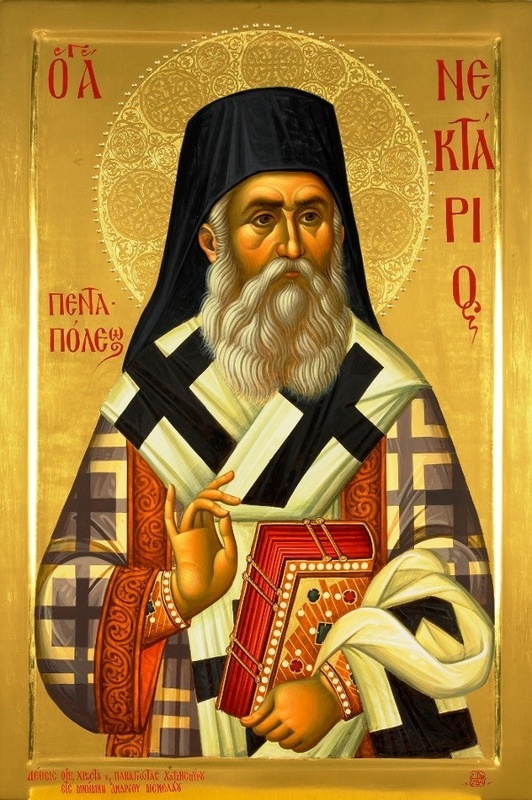 Therefore, because we did not tolerate this unheard of outrage and injury of the first, holy, and Apostolic See and were concerned that the Catholic faith would be undermined in many ways, by the authority of the holy and individuated Trinity and the Apostolic See, whose embassy we are performing, and of all the orthodox fathers from the Seven Councils and of the entire Catholic Church, we thus subscribe to the following anathema which the most reverend Pope has proclaimed upon Michael and his followers unless they should repent. Michael, neophyte patriarch through abuse of office, who took on the monastic habit out of fear of men alone and is now accused by many of the worst of crimes; and with him Leo called bishop of Achrida; Constantine, chaplain of this Michael, who trampled the sacrifice of the Latins with profane feet; and all their followers in the aforementioned errors and acts of presumption: Let them be anathema Maranatha with the Simoniacs, Valesians, Arians, Donatists, Nicolaitists, Severians, Pneumatomachoi, Manichaeans, Nazarenes, and all the heretics — nay, with the devil himself and his angels, unless they should repent. AMEN, AMEN, AMEN. Curiously a social difference between some Greeks and some Romans would survive from the age of the Roman Republic to provide abrasions between the Greek and Latin Churches. In the first century before Christ Cicero (Pro Caelio 33) regarded beards as indicating Greek culture; philosophical tutors had beards (Epicetus 3.1.24). Early in the second century in the Greek orator Dio of Prusa (36.17) and in Apollonius of Tyana (Ep. 63), to be clean-shaven was effeminate. The philosopher-emperor Marcus Aurelius could have an impressive beard, reported by Herodian (5.2.3-4) and Julian (3, 17 C), but Caracalla appearing clean-shaven at Antioch was thought less than heroic (Dio Cassius 78.20). Late in the fourth century Jerome (in Isai. 3.7.21-22, p. 115 Vallarsi) felt it worthy of note that the Gothic tribesmen invading the Balkans were clean-shaven; not what he expected. Beards were a sign of virility. But unkempt beards could provoke comment, and at Antioch the emperor Julian’s provoked mockery answered in his embarrassing Misopogon (the Beard-Hater). 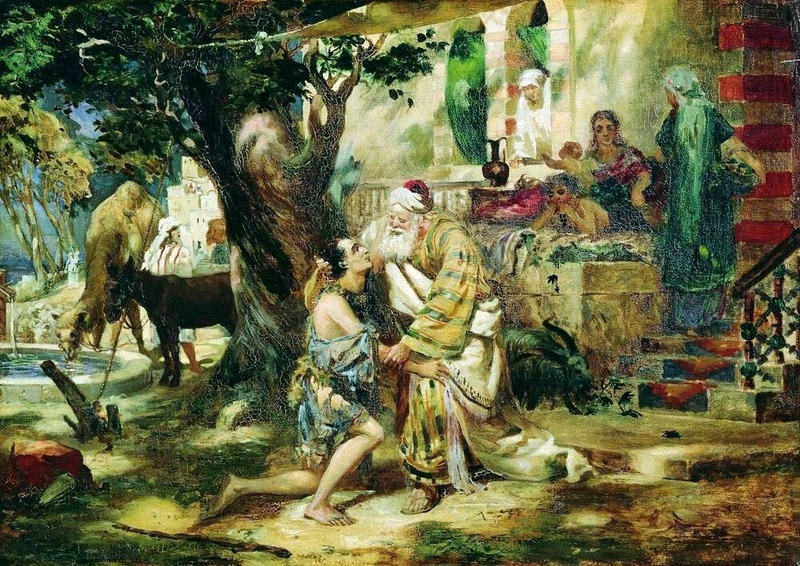 Jerome’s attack on Jovinian, a monk and priest, declared that the only difference between Jovinian and a goat was that he shaved off his beard (2.21). This is the earliest evidence for the custom with western clergy. Those who felt that a beard added dignity and authority wanted priests to keep their beards, and this was included among the rulings in the Statuta Ecclesiae Antiqua produced by a fifth-century canonist is southern Gaul, repeated by a synod at Barcelona in 540. These rulings, however, imply that shaving had become normal in the Latin Church. 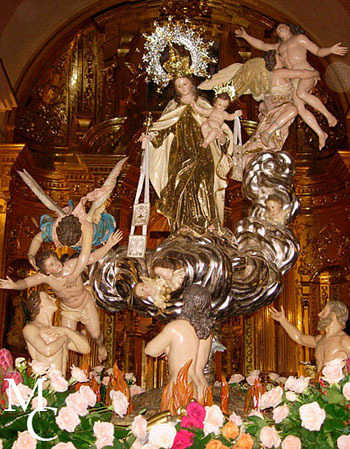 The Church is one and has never been divided, but heretics and schismatics fell away from her in the first age, have fallen away since, and will fall away until the Lord’s Second Coming. Therefore, there can be no question of union with heretics and schismatics, but only of their restoration to union with the Church from which they fell away. 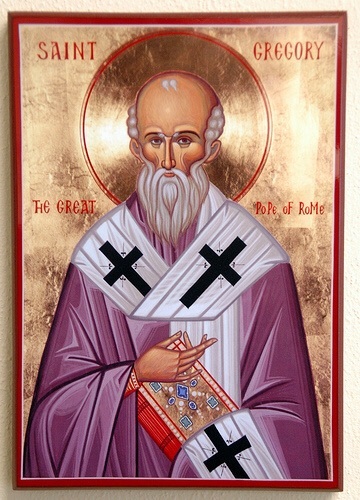 If the Roman Catholics should renounce their imaginings, then their restoration to union with the Church would be a matter for the greatest joy to the faithful and to the Holy Angels, not only for the sake of their souls’ salvation but for the realization of the restored fullness of the Church’s life to which our brethren of the West would bring that corporate ecclesiastical activity which is characteristic to them. In the circumstance of the renunciation by the Roman Catholics of their pseudo-dogmas, and in particular of that absurd one of them which ascribes Infallibility to the Pope in matters, of Faith, the Holy Church, in restoring them to union with herself, would not only certainly restore to the Roman Primate that primacy which was assigned to him before his falling away into schism, but would probably invest him with such an authority in the Ecumenical Church as had never hitherto been assigned to him — inasmuch as that which he formerly possessed was confined to Western Europe and North-West Africa. The Fools Guide the Church? Many Protestant Christians who are anxious to escape the dreadfulness of disunity within their churches look forward to latching on to an authority in which they can rely on existentially. They want to know that the doctrinal explosion – if you will – of the Church as it began at Pentecost will be protected from what Protestantism has come to be. Many of these Christians turn to Rome in order to embrace the Pontiff ‘s anathemas and other dogmatic ascertains. Others turn to Orthodoxy and embrace the Ecumenical councils as the Rome convert embraces the Pontiff. But this is not right of the Orthodox convert says Bishop Hilarion of the Orthodox Church. He says, “Ecumenical councils were never seen as the supreme authority in the Orthodox Church” (Orthodox Christianity, p. 61). 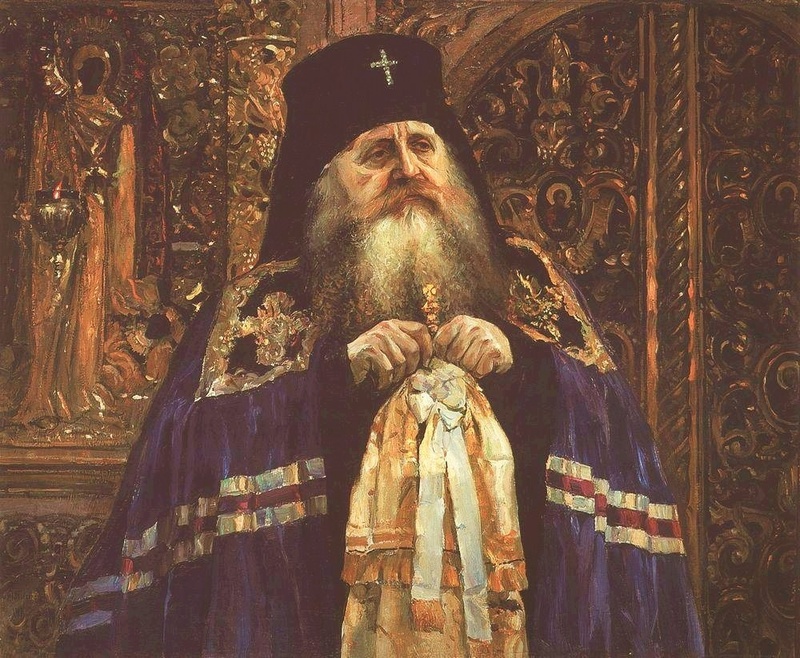 Orthodoxy is not a religious construct where people can place the thrust of their faith in existential values. Yes, the Church does have a corporeal and existential value, but the Church is a mere glimpse of what is really and truly going on in heaven! When one embraces Orthodoxy, they are not embracing what man says or does but what God says and does. 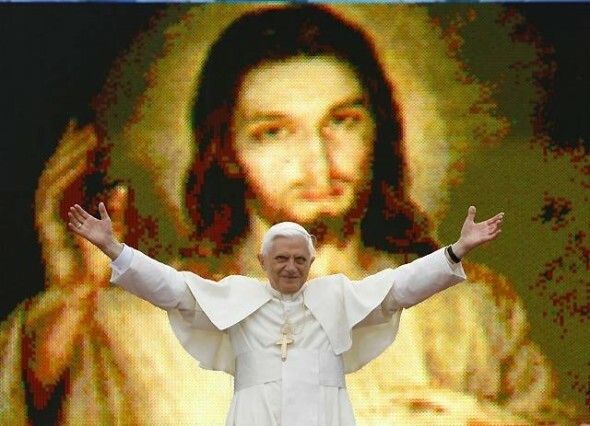 In Roman Catholicism the Pontiff is perceived as the voice of God; granted he as a bishop does represent the voice of God but he is not the entirety of it, in a Trinitarian sense. The Trinity is represented by the entire Church in that we are all a part of the priesthood; Not that we are all able to espouse whatever we want and expect it to manifest as truth but that we are actually able to espouse whatever we want and perhaps make fools of ourselves! The fool actually fuels the Church. That’s right; we are created in such a way that our human nature takes a certain form so as to embrace the Trinity! This is why the early Church arguments within the Councils were so important. They were protecting the way God created man in the very image of the Trinity. So it was important that they got the Trinity right by warding off the heresies surrounding the Trinity! Since man was created in the image of the Trinity he is expected to become as the Trinity. He is expected to progress in such a way as to leave what he has learned from secular culture and to take up what he has learned from God’s Holy Church. This growth in the people of God after the image of the Trinity is crucial to the sustainability and authority of the Church. The Orthodox Church, according to basic existential principals should not still exist, but she continues to exist. She has survived some of the most terrible onslaughts in world history and she still continues to grow. 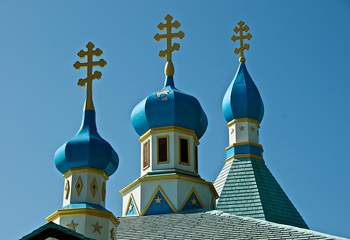 The Orthodox Church is guided by the people as they embrace the Trinity. There is no need for one man or even a council of men to proclaim that we are in a sense still here and have the Christians submit to such a proclamation. 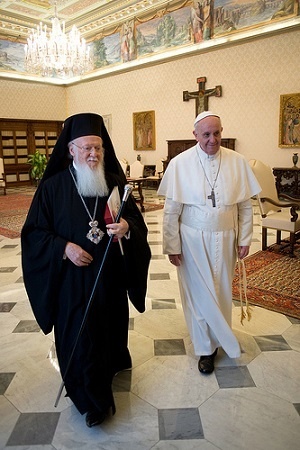 Orthodox unity and sustainability happens “naturally” through the Holy Spirit. The unity of the Church is not proclaimed on paper for people to submit to, it is demonstrated through praxis, to be of “one mind and spirit” as Saint Paul says. The Councils of the Church with the bishopric are for correction and encouragement. They are not for replacing the people; they are the voice of the people. The fools spur the Church on to glory. 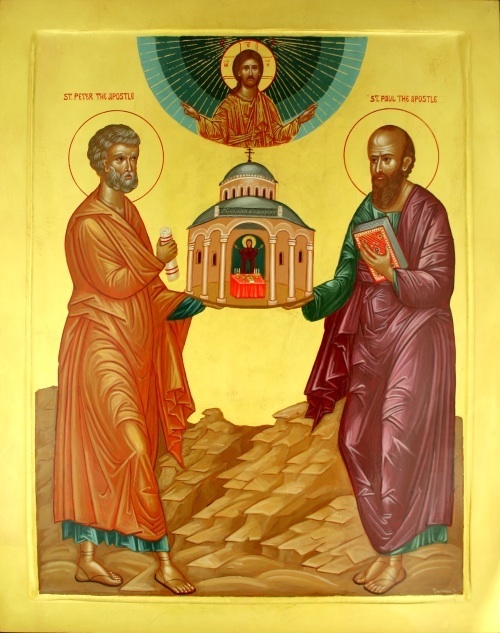 The fools enter the Church and they begin to mouth off in embarrassment but they grow and suddenly their foolishness becomes the very light of the Trinity; man “becoming” God. The fools both grow the Church, causing her to study and discuss, and even gather in Councils, and the fools themselves begin to grow and change, showing that God is the author of what is good.